The time has come! 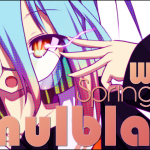 Our final week of Simulblast, and probably our most difficult challenge yet! Who will come out on top? That’s up to your vote, dear readers! This week’s challenge: I don’t think I can even come up with a clever intro for this one: write your summary without words containing the letters F, G, B, or P.
Okay, the last installment… I can’t say that I count on the storyline to head anywhere other than a narrow route, however. The commander dude can hold an army contained so they can’t attack on his own, haha. An entire army can’t attack due to one dude. Sure. The hover carriers trade lasers ’cause the villain’s ironclad contains undiluted chi or whatever, so they have them outclassed here. So a smack to the head made Akari realize she can’t continue her mind-controlled mess amid the entire installment. In addition, our lemon-haired monster sidekick isn’t dead due to, um, out, er… her old core due to… um… er, what? Chaika is done with the whole “Let’s stay in a room since the villain wants you to” shtick due to the theory that it’s convenient and smashes the door down. See, she was held in that room an entire sixty minutes and could just leave whenever. Writers, I have an issue with this now. On one hand she discovered the remains, and yet on another the one carrier has smacked into the other. Yay! While this occurs, that Ricardo dude discovers Chaika and decides he wants to cut her. Oh wait, Toru’s here, which means it’s the time where a serious climax throe occurs. Either he will die or win.. what will occur?! Oh, he shoved a sword in his stomach; well, there’s that tussle done with. Akari knocks out the wizard who mind-controlled her, ’cause retaliation is sweet, and all the individuals on the carrier just turn unconscious unless you’re Layla. Why didn’t we do that… like earlier?! Layla shoots Toru in the chest with an arrow, and he evidently descends to his death. She then starts to threaten Chaika, ready to kill her, yet she sees that snitch dude’s shell which lets Chaika have a chance to shoot her in the head with her heat. Chaika just throws her container over the rail and moves in to chase Toru; he could have drowned … at least when an individual considers the time involved here. Oh hey, wait, they kissed. Kisses makes individuals not drown, okay. Well, at least I’m joyous; they kissed. This was a victory! Time to ride on a monster and soar into the sunset while Layla and the other villains remain in their iron carrier… to die. So they’re serious that the commander dude is dead due to one laser. That’s an incidental character issue there, yet due to the shock Vivi’s hair turns white? Chaika shares with everyone that she is a tool; she however states that she wishes to continue to hoard the remains with her chums. Her resolve is the same as it was when we started the show, and it’s clear that she’ll lead them on. This player has paid 5 points the editor due to grammar issues in their summary. 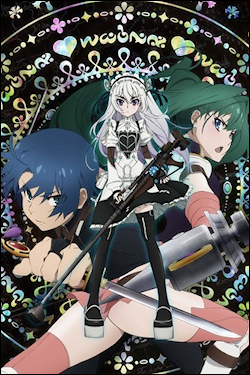 Watch Chaika ~ The Coffin Princess on Crunchyroll or talk about this episode on our forums. Here we are! Almost done! Oh dear, this week’s extra score task. It is really hard. I can do it! Today we meet a new character named a name I can’t say due to the extra score task. A man held in a cell, whose owner is a crime leader who runs hand to hand matches. We’re in this extra score task the entire time, humans. Sorry in advance. The new character who I cannot name and the lady whose dad owns the hand-to-hand matches are really close. They can’t love each other due to the new character. The heroes are ready to turn in when they see Daichi already retired. Akari jokes and says Hana should kiss him. So she does. What!? It’s Hana and Daichi’s first kiss, and he wasn’t awake for it! It was so cute, too. I’m so sorry, Daichi. Rita-chan located an arena area where our little hairy animal dude sensed the new character’s location. So that is where our heroes head. The doorman halts them and says they can’t enter. 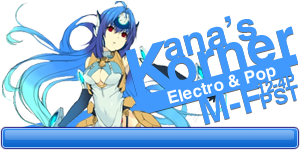 Akari just takes out some money, and he lets them in. Akari lays down 2 million dollars on the new character to win. When he wins, Amarok enters the arena and takes down the new character with ease. Amarok also tries to make his memories return. No kiss was involved this time. The new character walks home. Moco waits for him atop the over-road walkway and tells him to not ruin what he has. It would seem a little of his memories are there still. The new character swats her away and runs. Meanwhile, Amarok meets an old character, the crime leader who tried to use the roulette dealer to steal money. The dealer has a new talent and uses it to send a steel stick into the heart of the leader. Then they vanish. So now we have two villains on the run, and our heroes are still nowhere near done with their adventure. Oh! And the crime leader is immortal now… What!? His wound was healed! How?! Let’s find out later. Can you all read this? I can’t, and I wrote it. See you all next season! Watch Captain Earth on Crunchyroll or talk about this episode on our forums. 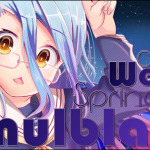 Welcome to the next eh… week o’ Simul… Simulcast event. This is sure to hold quite a challen… trial that we must overcome this week. As you already know, I’ll review JoJo’s Quirky Adventure. We start with the old witch’s son’s death. She is sad. This somehow causes small holes to occur all over her… anatomy, and red liquids are shot out said holes. Hmmm… The man sired in the country traditionally known to have an enmity with the UK, who we will now call Jean Claude Van Damme, tries to convince the woman in the show last week that Hol Horse is evil. We also learn some trivia on a sacred city in India. This anime is quite educational. Once more we see the odd mark on JoJo’s arm. There is another on the woman’s mouth taster used to talk. JoJo sees a doctor to have it removed; however, it kills the doctor, and talks to him in a silly voice. Turns out it is a Stand. The Em… womanly leader tarot card. They have a conversation which harkens to Vam… traditional monster hunter D. At that moment, a nurse comes in and JoJo is now wanted in association with the murder that was committed. When JoJo attem… tries to kill it, it conjures arms to stay in Jojo’s hand. It then calls out to the authorities that JoJo is in the alley. They chase Joe, and he narrowly avoids the shooty devices they use on him. Jean Claude Van Damme hits on the woman in last week’s show, and she distracts him so he won’t see Joe. His little arm woman, meanwhile, eats a chicken it stole at a market to create a torso. Once more, the woman distracts Jean Claude Van Damme so he doesn’t see Joe. This is overly silly, and I love it. The arm monster taunts Joe, and he retaliates with coal tar. It’s stuck, and Joe tears it to shreds with his Stand, thorny vines. The Stand’s user was hidden inside the woman mentioned earlier. She is ejected out the woman, and the two women die. Jean Claude Van Damme is saddened due to her death, and it seems they won’t have time to mourn as a car is on their tail. 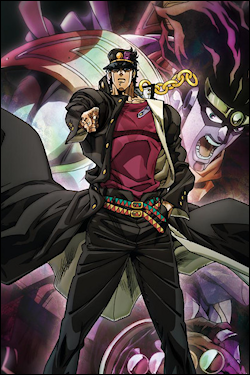 Watch JoJo’s Bizarre Adventure: Stardust Crusaders on Crunchyroll or talk about this episode on our forums. 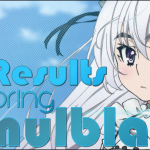 Kayarath has missed the deadline for this week’s Simulblast. He is considered a No Show and gains no points for writing this week. He has FOUR more chances to miss before he is out of the competition! 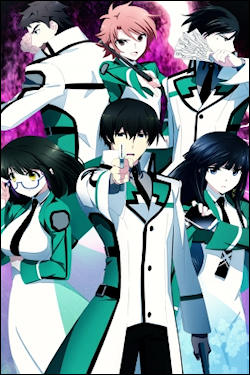 Watch The Irregular at Magic High School on Daisuki or talk about this episode on our forums. And through miraculous deus ex machina, our heroes end up victorious even after the siblings are knocked out by Izuna. Despite words to the contrary throughout the past two episodes, Sora and Shiro had apparently had the whole contest figured out even before they entered the arena. The off screen command given to Steph before Blank had even known what the game was turned out to be oddly specific and enough to get a clinch shot off into Izuna’s back. The heroes celebrate, the werebeasts fret, and a contest that could have had an interesting resolution is cut off before a well thought-out plot could seep in. Things sort of flash forward after the contest’s resolution, and eventually our heroes are brought to the werebeast capital to speak with their leader: Shrine Maiden. With some goading and leveraging their earlier win, Sora manages to get Shrine Maiden to bet the rest of her kingdom on a coin toss in exchange for Sora promising to protect her people if she lost. Through clever use of floor tiles Sora manages to make the coin toss a draw such that he would gain the opposing kingdom and also be bound to protect its people. Shrine Maiden is relieved by this to some regard, but worries about the Elves and Flugel which seem about to invade. The episode wraps up oddly with some scenes playing during the closing credits. One of which shows Fil and Kurami trekking back to the Elven lands while they discuss dismantling the Elven kingdom before cutting back to the heroes and the Shrine Maiden. In this second scene, it turns out that Shrine Maiden actually has some sort of connection with one (or more?) of the Old Deus and summons it for Sora to converse with before the episode ends. 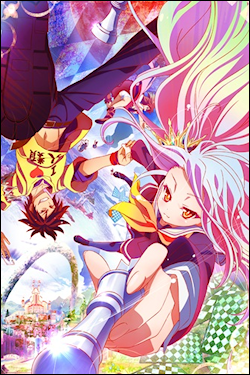 Watch No Game, No Life on Crunchyroll or talk about this episode on our forums. What’s going on, everyone? It seems no matter how much I try I can’t seem to take this show seriously as a show anymore; not only that, but I think if I go on I’ll shank my own eardrums to relieve myself of the horror that is this show. 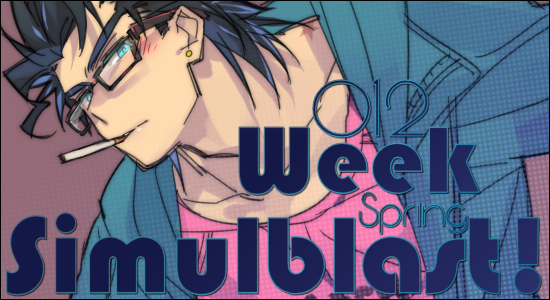 Well, let’s not delay it anymore; here is Daimidaler 12. So we start out with the army shooting the stronghold of the Salon with no mercy. They go in and smash everything and essentially end the Salon’s run. The Daimidaler 1 and Daimidaler 2 are having difficulty taking out the minions. With some assistance from Ritz, they defeated the minions of the… army? Whatever, they were defeated and all is right with the world… Until they all get together and make a mega mech of evil; like, really really evil. Like it has an evil mouth and stuff. So Daimidaler 1, Daimidaler 2, and Ritz’s mech must join forces to defeat the NEW enemy mech, so now we have a whole new set of crap Tokyo has to deal with. Like being a smoldering crater when this mech is done its killing spree. So I will admit there is an awesome mech fight Daimidaler 1, Daimidaler 2, and super awesome demon mech vs the Shadow of the Colossus of mechs. Shouma turns back into a human and buffs up Kiriko, and giving her… well, at this stage, we all know what happens. And then we have bad touch all the time in the other mech… is it over yet? Well, it’s not quite over; the mega mechs just have a grand old time destroying stuff and killing people, and just all of the yes. 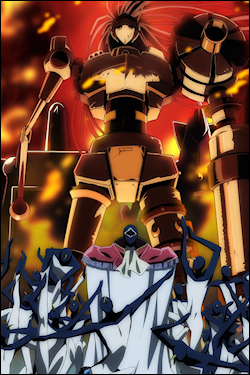 Anyway, Daimidaler 1 and 2 combine their power to put an end to the giant mech. When the fighting’s all done, it goes like this: Salon and the army make up, the Empire goes home in their flying turtle shell, Ritz goes with them, and the series ends on a whimper, but thank GOD it’s over! 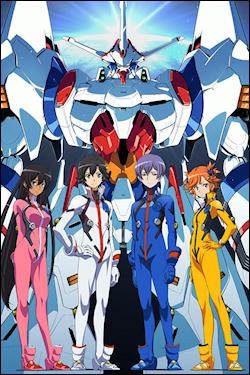 Well for the series, finally, I give it 4 super giant mechs out of 10 and an overall “avoid this travesty at all costs!” Well It’s been great everyone; see you all later! Watch Daimidaler on Funimation or talk about this episode on our forums. Next week’s challenge: There isn’t one! I can still beat you! People of the internet! LEND ME YOUR VOTES!